Flower Mound Lawn Care | Greener Lawn, Weeds Gone! Flower Mound Lawn Care companies enjoy the scenic views around this area of Texas. Flower Mound Texas was named for a 12.5-acre hill approximately 50 feet in height located close to the intersection of FM 3040 and FM 2499. The formation attracted the attention of early settlers to the area, and is often simply referred to as “The Mound”. During blooming seasons, the Mound is covered in native grass like Little Blue Stem and Big Blue Stem and many native flowers. Though surrounded by commercial and residential development, The Mound is owned and maintained by The Mound Foundation, a non-profit private-public partnership. With a 10 percent increase in job growth since 2010 and a projected 18 percent increase in job growth through 2018, CNN Money Magazine recently ranked Flower Mound No. 2 on its “Best Places to Find a New Job” list. Flower Mound is also No. 12, and the highest-ranked Texas community, on the publication’s list of “Top-Earning Towns,” which was released on September 22. Flower Mound ranks among NerdWallet’s top ten “Best Places to Raise a Family in Texas”, which considered public school excellence as well as median household income and home values. 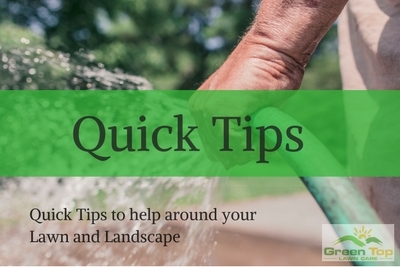 This has produced a lot of demand for lawn care around the Flower Mound area of Texas. Green Top Lawn Care is known for our high customer satisfaction. When checking out our customer reviews, you will recognize that our clients are delighted not only with the work we do but also our customer service. We are locally owned and managed. We reside in the area, and we treat your lawn like we would our lawn. If there is a concern, you can call and know that you are communicating to a local person in Texas, not an answering service in another state. Our Fertilization and Weed Control Program consists of 8 regularly scheduled services that are needed in Flower Mound Texas. These include fertilization, pre-emergent, and post-emergent weed control. We also offer special services such as grub preventative, fire ant control, lawn aeration, soil testing, and pH balancing. Grub preventative is done May-July depending on weather and is highly recommended in Flower Mound. Green Top’s Tree and Shrub program in Flower Mound Texas consists of 6 applications of fertilization, insect control, disease control and monitoring for any other issues. Round one we apply a horticultural oil in the winter that will smoother insect eggs and overwintering insects such as scale. The next 5 services consist of fertilization, insect control, and disease control. We also offer special Tree and Shrub services such as Deep Root Fertilization. Why Green Top Lawn Care? Free Re-Application- We will come back between services if needed. Call Green Top Lawn Care at 817-684-4044 or use our Quick and Easy Form for a free, no-obligation evaluation and estimate or to learn how to become one of our many Flower Mound Lawn Care clients! Copyright 2016, Green Top Lawn Care, 1001 W. Euless Blvd #210, Euless, TX 76040. 817-684-4044 Site by www.DFWWebsiteDesigners.com.